Great friends and good food create the best girlfriend moments. With adulting taking up most of our time these days, it’s important that we set aside moments to catch up and spend time with our girlfriends, and everyone knows there’s no better way to catch up than over brunch. Brunch is more than a lifestyle, it’s an institution. But why go out to an expensive, loud and crowded restaurant, when you can turn your home into the dopest brunch spot in the ‘hood? 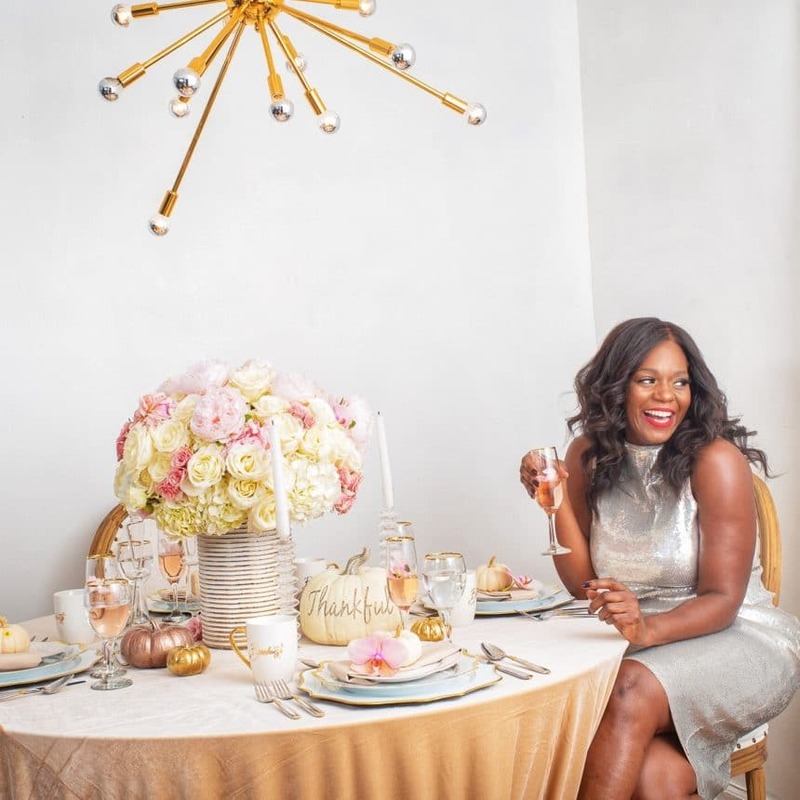 These expert tips will make your next at home brunch event the toast of the town, but most importantly, they will create a girlfriend moment that you’ll cherish forever. Congrats, you’ve decided to throw a brunch! The first and most critical task is preparing your home for guests. From the moment your guests arrive you want them to feel comfortable and relaxed. Set the stage by making sure that your home looks clean, smells great and is welcoming. Remove excess clutter from visible spaces. Designate an area for guest bags and coats away from the entertaining areas. Tidy up your bathroom by making soap, lotion, clean hand towels (cloth or paper) and toilet paper visible and accessible. When it comes to hosting brunch in your home, remember that the decor not only shows off your personality, but sets the tone for the event. Pick a theme for brunch and stick with it. Use plates, cups and napkins that support the idea you’ve chosen. Flowers are great centerpieces, and cost effective decorations such as balloons and streamers can go along way. Use fall foliage like pumpkins, pine cones, leaves and spray paint to create beautiful table decor if you are on a tight budget. However, if you have enough cash to go ornamental for the event, splurge and hire an event decor stylist. Menu planning is the most delicious part of any brunch. Staples such as eggs, bread and fruit go a long way without breaking the bank. Create a balanced menu by choosing a mix of sweet and savory dishes like Turkey, Apple and Sage Breakfast Sausage, Sweet Potato Souffle, some fresh fruit and a signature cocktail to get the party started. You’ve assumed the role of Hostess With the Mostess, so choosing the perfect outfit is a must. The right outfit will solidify your seat at the head of the table, but will also help you gracefully navigate through the brunch hosting duties with style and grace. Try a free-flowing maxi dress that will help create a dramatic effect as you breeze thru your hosting duties around the house, or make a star statement with a signature piece of jewelry, sequins joggers and comfortable top. Brunch without champagne is just a sad breakfast! With that being said, it’s essential that you have libations at your brunch party. The traditional brunch cocktails are mimosas, bellinis and Bloody Marys, but if you really want to shine, create a signature drink. When creating your drink think about the theme, the colors and the guests. A signature drink is your personal touch to the soiree, and serves as a great icebreaker to help guests who may not be familiar with each other connect and socialize.